When folks visit PebbleCreek, one of the questions they frequently ask is “Where can I go for a quick get-away?” Sedona is always my first suggestion. 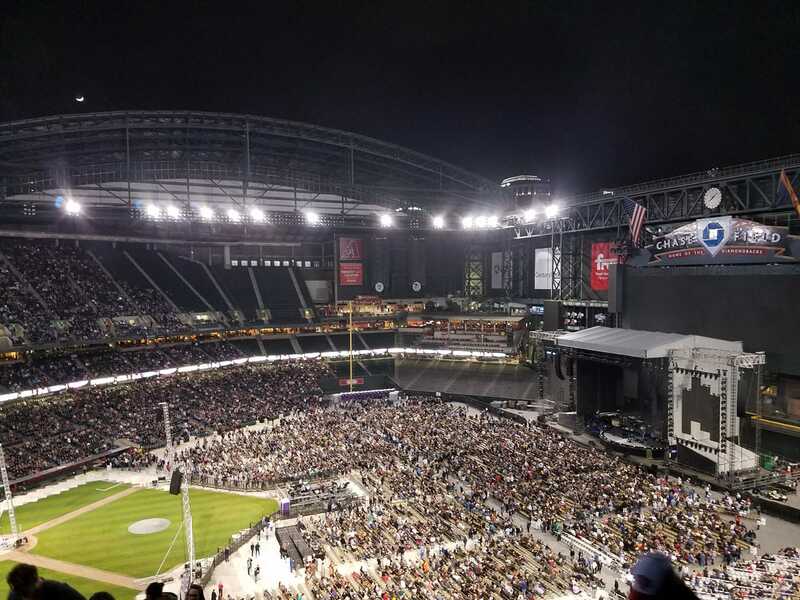 An easy 2 and a half hour drive away, the scenery is mind-blowing, the temperature is an inviting 10 degrees cooler than Phoenix and the vibe is easy and relaxing. 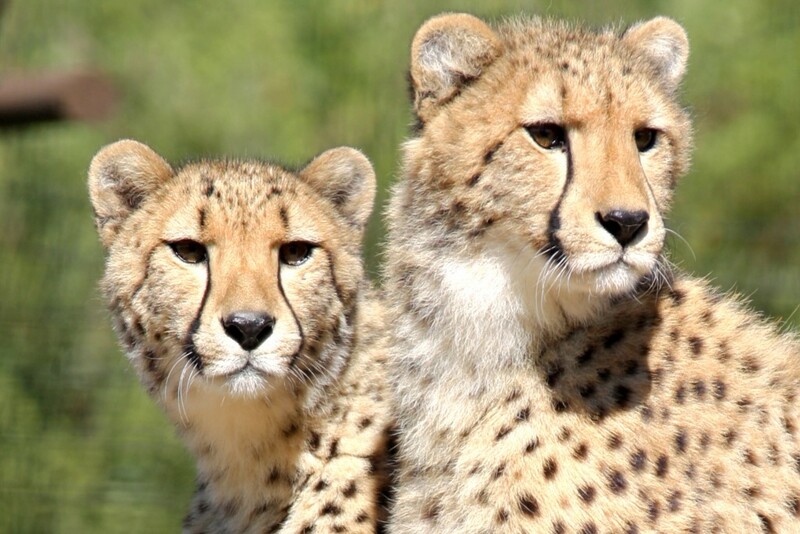 The trip can be done as a manageable day trip or a simple overnight. 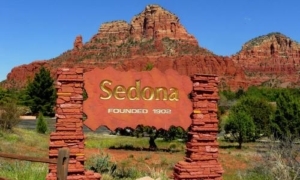 If you don’t want to go by yourself, the PebbleCreek hiking group does several trips to Sedona and other clubs do as well. 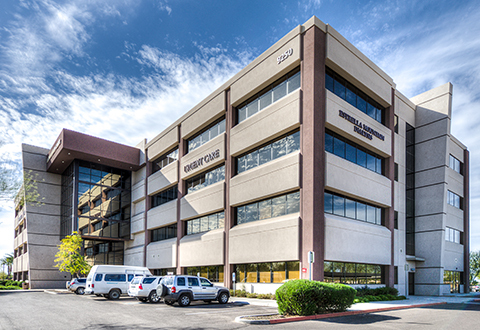 For more information on PebblecCreek activities, click here. 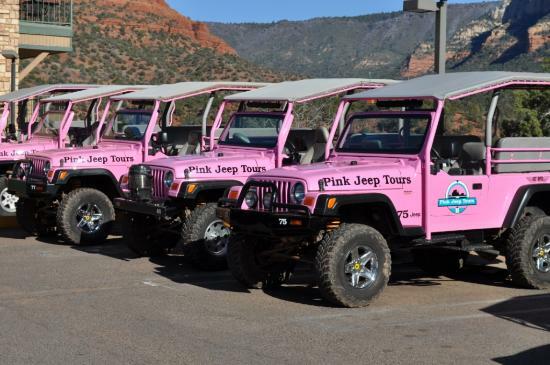 While I didn’t go this time, Pink Jeep Tours are perfect for just about anybody. 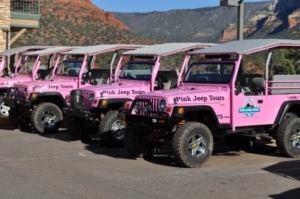 Particularly if you are with a group of people with varied physical ability, the tours give everyone a chance to get “off road” and be surrounded by some of the awe-inspiring majesty of the place. 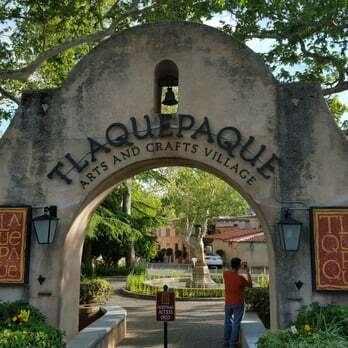 During this visit, I went to Tlaquepaque, the arts and crafts village. What a wonderful little collection of shops and restaurants. 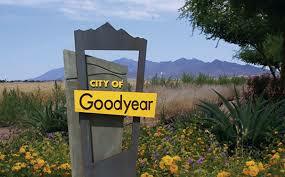 I hadn’t been there before, so it was a new find, and I will be excited to go back. The shops are slightly upscale compared to the main tourist drag through town and the setting is completely relaxing – a convincing Mexican village vibe. Loved it. And then I will point out The Coffee Pot for breakfast. They are known for their 101 omelettes and are an institution. Framed and signed celebrity photos adorn the wall and there is a little attached shop if you end up having to wait for a table. It’s a generous portion – one of their omelettes will fill you up for the day. One of the best parts of PebbleCreek is its location. 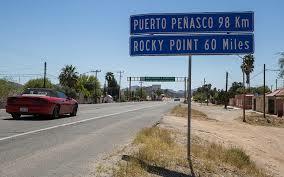 We are ideally located to explore the southwestern states… just another reason that so many people choose to live here!